Seth Cropsey’s Mayday is a well argued account of the decline of America’s seapower. Cropsey, a former Deputy Undersecretary of the Navy for four presidential administrations, is highly qualified to comment on the state of American naval power and makes a compelling case for America’s (and the rest of the free world’s) need for alarm. Cropsey opens his argument with a survey of current American naval power and the crumbling edges of America’s superpower status. Any significant exposition on modern naval doctrine would be incomplete without a discussion of Alfred Thayer Mahan and Cropsey devotes an entire chapter to Mahan, his theory and its continued relevance to American naval strategy today. The latter half of the book nicely pulls together various threats to American naval power from China’s emerging regional dominance, piracy, Islamic fundamentalism, increased costs of weapons systems and America’s growing debt problem. Instead of simply bemoaning the loss of American naval dominance and its dire consequences to the freedom of the seas, Cropsey examines multiple proposals for a new way forward and offers several solutions to halt the decline in America’s seapower. 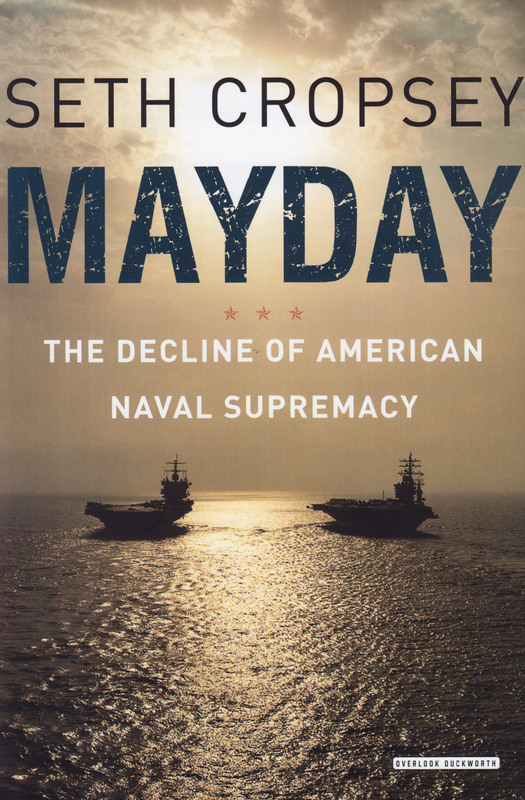 Overall, Mayday delivers an evenhanded analysis of the crossroads faced by America’s politicians and naval strategists that is well worth a read.